Maruti Suzuki Swift has been such a successful car in India. Maruti is now reported to be aggressively developing the Maruti Swift Range Extender, which is a hybrid car. All thanks to Government of India’s FAME initiative – Faster Adoption and Manufacturing of Hybrid and Electric vehicles in India, every OEM is now stepping up to push an electric/hybrid car to the market. So what is the reason behind this? Governement’s FAME scheme offers incentives on electric and hybrid vehicles for upto a range of Rs. 29,000 for 2 wheelers and Rs. 1.38 lakh for cars. This is going to facilitate buyers to choose to buy hybrid and electric vehicles in India. Maruti Swift Range Extender is the hybrid version of the well-known Swift. 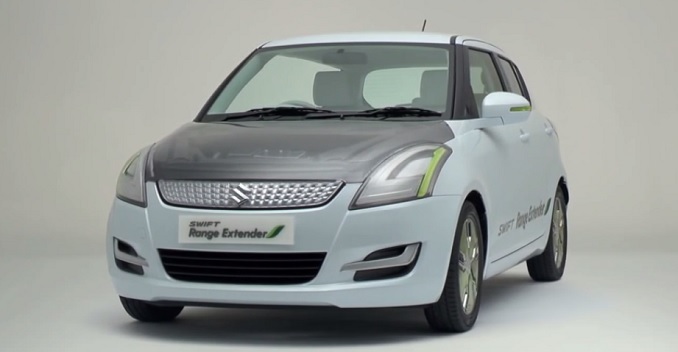 Swift Extender was showcased by Maruti Suzuki during the 2014 Auto Expo. This car is still pretty far from mass production. Maruti is already working to develop first batch of cars in order to provide it to Delhi government as a pilot project. Maruti Swift Range Extender – When is the launch? There is no sure-shot confirmation from Maruti Suzuki about the progress of this ongoing pilot project of manufacturing hybrid cars. Also, there is no official word on the commercial launch yet. 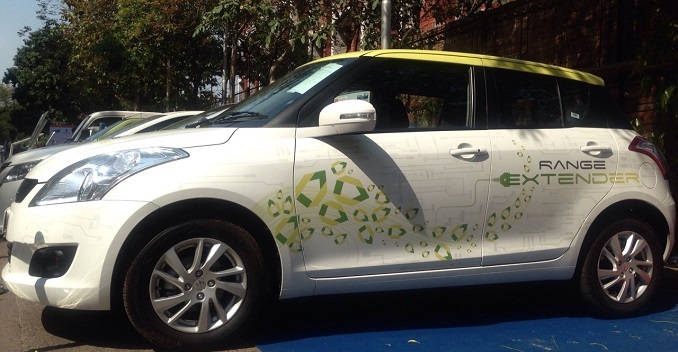 Maruti showcased one of its hybrid models during the World Environment Day which was on June 5. This new hybrid car from Maruti is expected to be powered by 658cc, 3 cylinder petrol engine which is paired with permanent magnet synchronous motor, the car is claimed to provide an impressive never-seen-before 48.2Km/litre of mileage. The hybrid car is going to have an electric driving range of around 25.5 Kilometres. Even though it is a smaller capacity engine it delivers a power of 73bhp. The company claims that the Swift Extender offers a combined fuel efficiency of 48.2kpl.